Dr. Luciano Giannini, CEO and Founder of E4SD (Energy for Sustainable Development), graduated in Physics at the University of Rome, throughout his decades of professional life has working mainly on energy (nuclear, fossil and renewables sources), Artificial intelligence and rational use of natural resources, as University Professor and researcher (CNR, JRC European Ispra, Stanford Research Institute etc) and manager in important multinational companies (ENI, ABB, Alstom etc) in Italy and abroad. 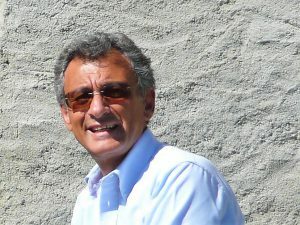 He has many years of experience in the processes of internationalization of SMEs, operating in the field of Green Economy, Circular Economy and Agronics, also creating a network among companies, research centers and universities (Polytechnic University of Milan, Bicocca University, RSE, ENEA etc). He is the author of several scientific publications and testimonies at important international conferences. Executive Director of the MIT Srl (wind energy). President of the Energy Commission of the Association of Managers of Industrial Companies of Lombardy (ALDAI), member of the Italian Association of Electrotechnics, Electronics, Automation, Computer Science and Telecommunications (AEIT) and of the Scientific Committee of the Planet Life Economy Foundation (PLEF). Dr. Vito Lavanga, Founder and Innovation Manager of E4SD (Energy for Sustainable Development), graduated in Mathematics at the University of Milan, Managing Director, of the innovative Start up ESCP Srl. He has a long experience in the Information Technology sector gained in important calculation centers national and international contexts (JRC European Ispra, ENI, Banks etc), and military (NATO). In the last years he has carried out consultancy and research and development activities in the energy sector working in university contexts (Milan, Pavia) and collaborating with university spin-offs. He is the owner of numerous patents in the research sector, studies of experimentation of new technologies with high technological value for plants and systems for the production of electricity using aeriform, liquid and gaseous renewable sources. He is the author of several scientific publications and testimonies at scientific conferences in Italy and abroad. 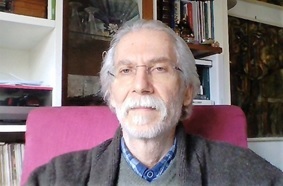 Dr. Ruben Ornelas, Founder and Area Manager of E4SD (Energy for Sustainable Development), graduated in Chemistry at the Universidad Autónoma Metropolitana de México de México, with a Master in Physico-chemistry at the Centro de Investigaciones y Estudios Avanzados – Instituto Politecnico Nacional of Mexico City and PhD in Science (1989) at the University of Milan. 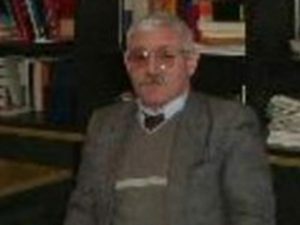 Professor in several Mexican Universities (Universidad Autónoma Metropolitana, Universidad Nacional Autónoma de México, Universidad de Puebla and Universidad de Guanajuato) and Researcher at the CNR – Institute of Advanced Technologies for Energy. In Italy he has accumulated more than 25 years of industrial experience as scientific manager in several companies (DeNora Spa, Nuvera Fuel Cells Spa and Tozzi Renewable Energy Spa) of several European, Italian and technological innovation projects. He has published more than 30 scientific articles in high impact journals and 7 industrial patents currently in use. 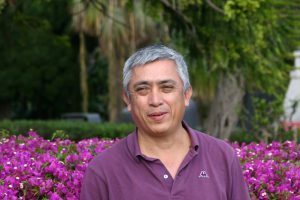 He is one of the most prestigious researchers in the area of ​​Sustainable Electrochemistry and promoter of collaboration programs between industry and the Academy for Energy, Water and Agriculture in Italy and Mexico. Member of the International Society of Electrochemistry and the Electrochemical Society. Dr. Giovanni Dottorini, Associated Partner of E4SD (Energy for Sustainable Development), graduated in Physics at the University of Rome, and Master in Environmental System Management. Throughout his decades of professional life he has been mainly involved in research in the field of marine environmental systems and Renewable Energies. It has built mini hydroelectric power plants ( Ecuadorian Amazzonia) and photovoltaic plants. He has worked as an expert in Italian companies such as Cotecno, SIM, Impregilo, etc. and in the field of International Cooperation (Italian Ministry of Foreign Affairs and International Cooperation, NGO, European Union, etc.) in the development of environmental and agricultural projects. In this capacity he has been involved in project designing, monitoring and management, as well as research and development of appropriate technological solutions with low impact in the energy and agricultural sectors for developing countries. Subsequently he alternated teaching in Electrical Engineering, Electrical Machines and Electronics in Technical Schools and Universities (Italy, Jordan, Spain, Brazil, Eritrea, Egypt). He is a member of international non-profit environmental and sustainable development associations (SE4ALL, SE4 Africa, SEVA-4-Africa, OPES Foundation, Green Cross International, etc. ).